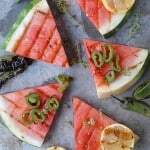 With the long, hot days upon us, fast, fresh bites that celebrate seasonal produce are what I crave. 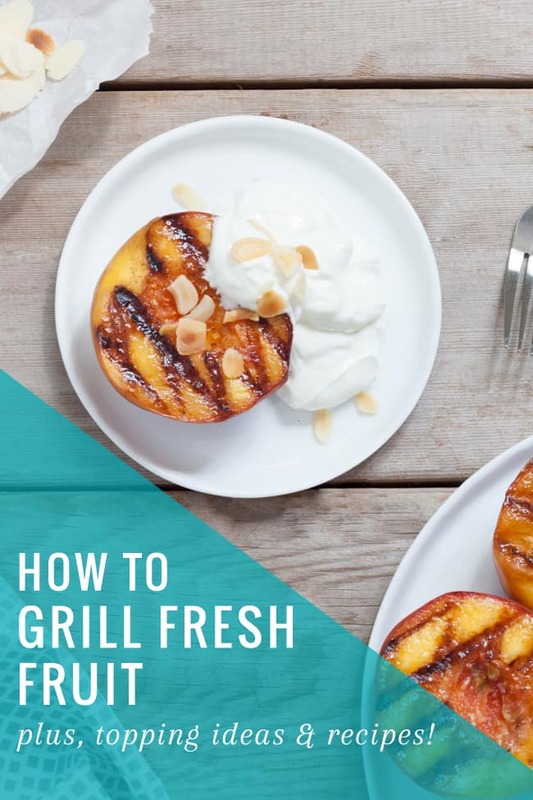 Grilling fruit is one of the best ways to get the most “bang for your buck” come summer—no hot oven, you get to be outdoors, and grilling brings out its natural sweetness, making it extra special. 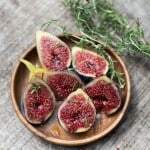 Choose ripe, but firm, fruit that will hold its shape when grilling. Soak the fruit in cold water or juice ahead of time. This helps the fruit retain water so it stays juicy on the grill. Keep the fruit submerged for about 20 minutes so that it takes in all the moisture. 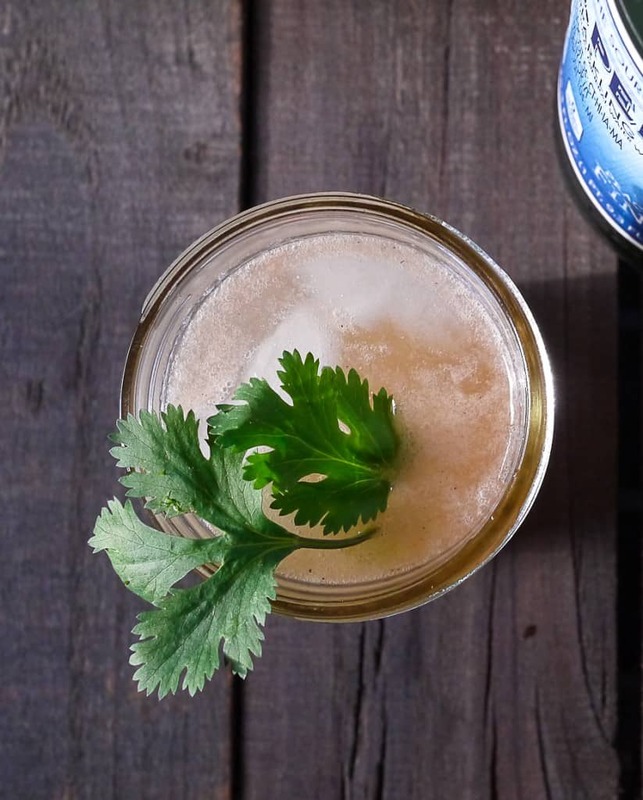 You can also flavor the water with complementary herbs and spices. 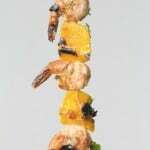 For grilled peaches, I chose cinnamon sticks, but coconut sugar and nutmeg would have also added a nice touch. Just be careful about the amount of sugar you use because it can burn. Use a clean cooking grate. Be sure to scrape off any residue from the grate or it will leave unwanted black specks and the taste of whatever was on there before. Brush the fruit and the grate with a fat that has a high smoke point, like coconut oil or ghee. 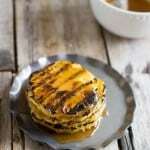 Cook the fruit over medium heat on a grill pan (if cooking indoors) or indirect medium heat on an outdoor grill. Fruit doesn’t take long, so be sure to keep an eye on it. Grill the presentation side down first. This means, choose the side that you want to show when you serve it and grill that first. It gets the cleanest contact with the grill. If possible, aim for crosshatch marks, which tends to be easier to achieve with flatter pieces of fruit. 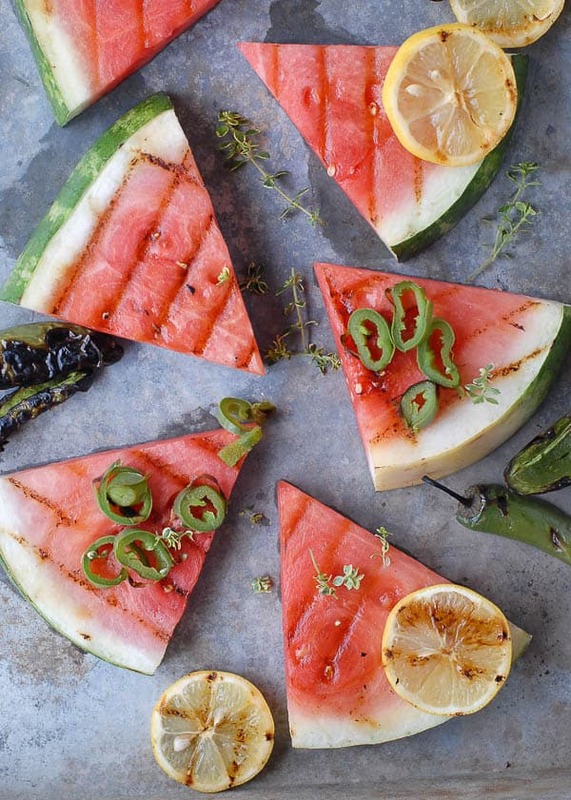 Do this by placing the fruit first on a 45° angle, then rotating it 90° and searing it again. 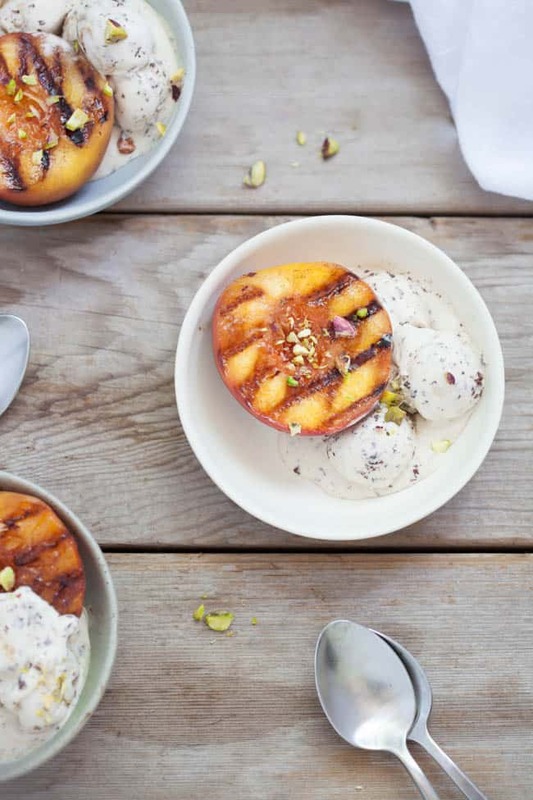 Super simple, grilled sweet peaches highlight the best of the summer produce. Top them with honey almond sweetened yogurt, and you've got a healthy dessert or snack. 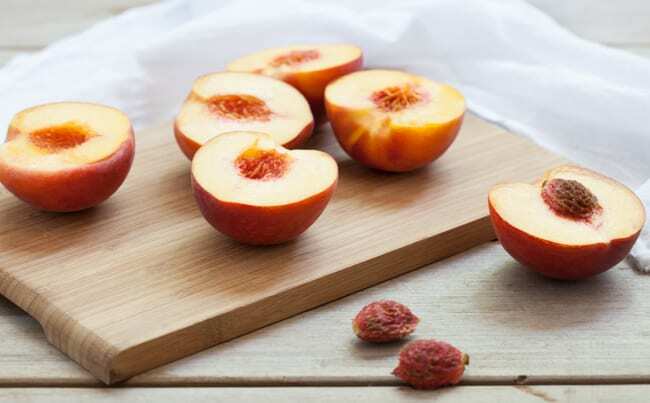 Cut the peaches in half and remove the seed, being careful not to tear the flesh. Place in a bowl with cinnamon sticks and enough cold water to cover them completely. Soak the peaches for 20 minutes then remove and pat dry with a paper towel. 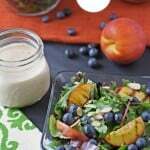 While the peaches are soaking, mix the yogurt topping by stirring together the yogurt, honey, and almond extract until well-combined. Set aside in the fridge to chill. This can also be done a day ahead of time, if you prefer. Once the peaches have soaked, melt the coconut oil and stir in the cinnamon. Brush the cut side of the peaches with the cinnamon oil and place the peaches on the grill at a 45° angle. If your peaches aren’t touching the grill, you can place a heavy object, like a cast iron pan on the peaches for about 30 seconds to get the sear. Cook for about 2.5 - 3 minutes, or until the peaches are start to soften and are fairly easily coming away from the grill. Turn the peaches over and grill for another 3 minutes, or until soft, but not too soft. 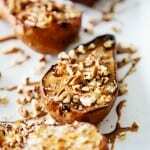 Serve with honey almond yogurt. 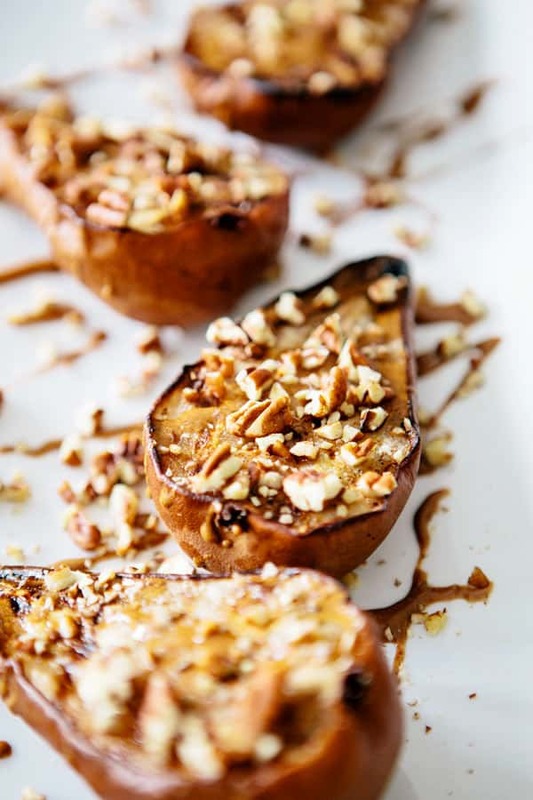 Grilled pears drizzled with cinnamon make for an epic (sugar-free) dessert. 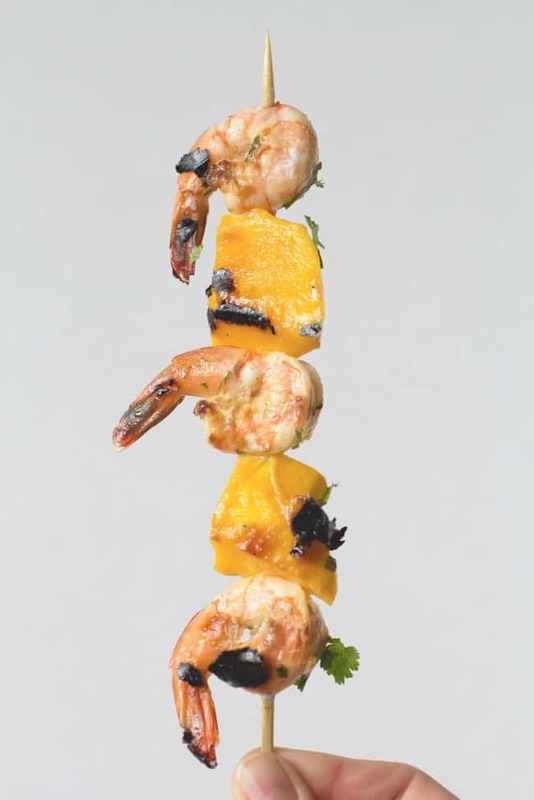 Grilled mango and shrimp skewers are perfect summer party fare, just layer them up and grill! Do you like to drink your fruit? 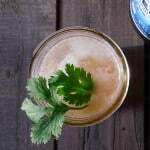 Turn grilled citrus into a delicious cocktail. 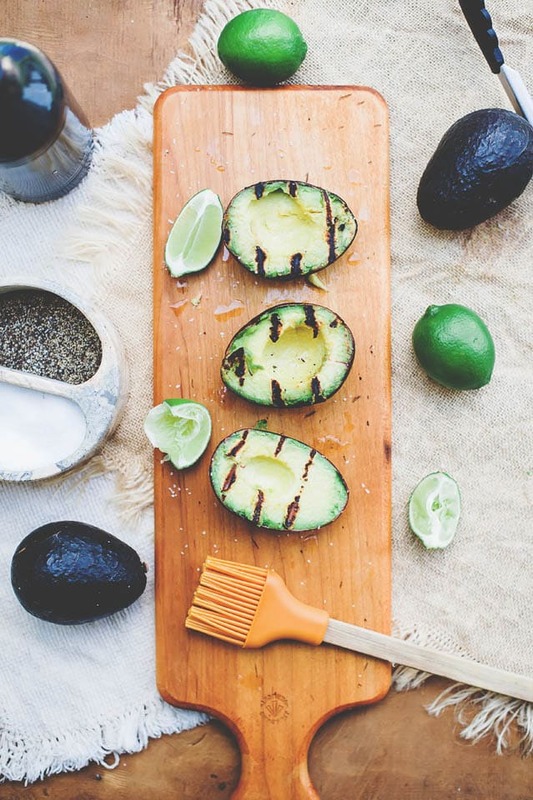 A not-so-common take on grilled fruit: the grilled avocado. 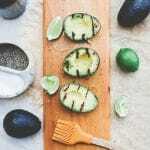 Seasoned with lime and salt, this charred fruit makes a healthy side dish. And yes, avocados are fruit! 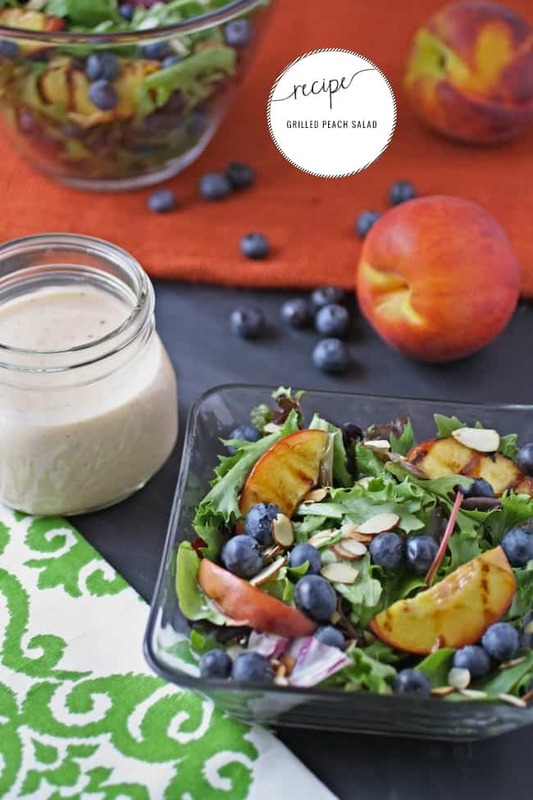 One of our old favorites—Put grilled peaches in a salad and pair with salty, creamy goat cheese for an elegant lunch. 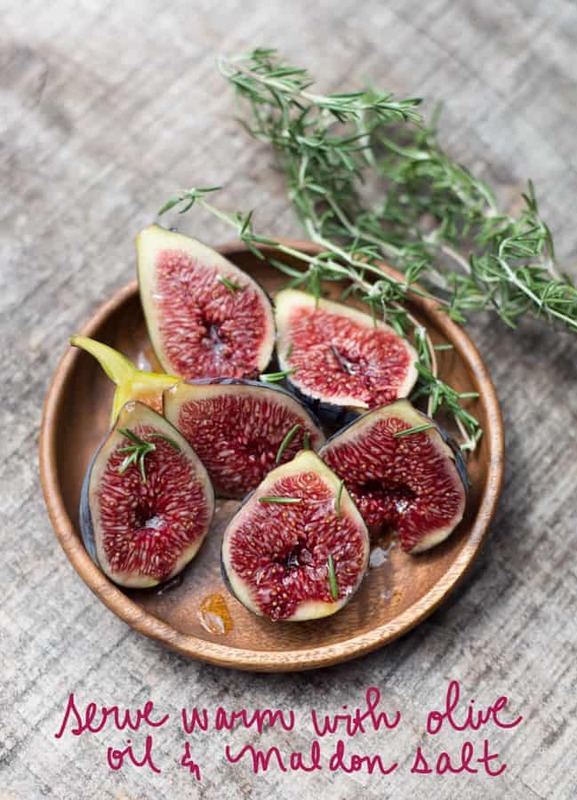 Sweet, oozy figs that use a rosemary sprig as the skewer make a warm, herb-infused side. 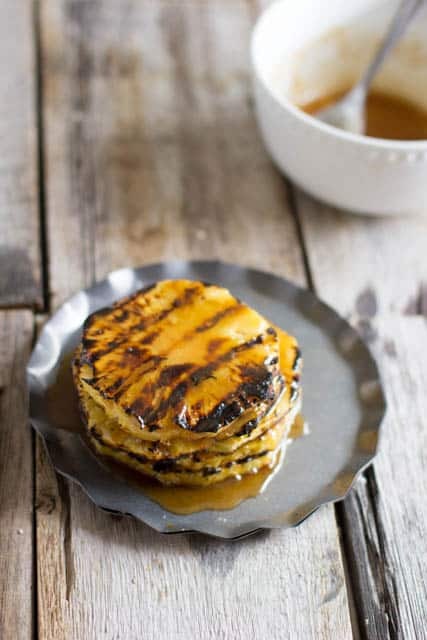 Take a trip to the tropics with brown sugar grilled pineapple. Mmm I have got to try this!! I am totally trying this! Sounds divine!